Our mission is to be a reliable contemporary witness. It will be available for decades and additionally paper is a very patient material. 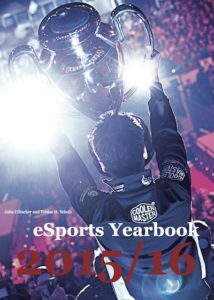 The eSports Yearbook has been established to offer high-quality eSports articles to students and all researchers at universities. The book is a non-profit project and everybody can contribute to it. This year's issue contains several articles about eSports. This time there are more research articles included. The topics range from research about eSports spectatorship, the informal roles in Counter-Strike Teams, a potential reverse gamification effect, the chances of eSports being an Olympic discipline, the connection between League of Legend teams and the owning corporations, the ergonomics in eSports and the health perception of gamers, to the potential shift in FPS games. The book is a statement: eSports is not only booming in the business context but increasingly gains attention in research as well. You can download the online version here for free or get the paperbook version at Amazon. We, Julia Hiltscher and Tobias Scholz, are planning a new edition of our eSports Yearbook. This will be our sixth edition (2009, 2010, 2011/12, 2013/14 and 2015/16). The phenomenon of competitive gaming is constantly growing and evolved into a vivid and vibrant industry that rivals traditional sports. Many media companies (e.g. ESPN) are looking more and more into eSports and we experience a new “gold rush”. Although many people are underestimating eSports as a transformational force, it has a strong impact on the media industry. This can be seen at the current buying frenzy (e.g. Twitch bought by Amazon and so on). Many companies can learn much from eSports. Although, there is substantial progress in eSports, from a scientific and cultural perspective there are not that many publications. This book gives an insight into the many facets of the eSports phenomenon. So if you would like to be published internationally in order to help out students who desperately look for eSports sources they can quote from – please consider contributing something now. We will begin accepting manuscript submissions starting from now until the 15.09.2018. Please contact us as soon as possible, if you are interested in writing a piece for the book, so we can start planning. The articles have to be written in English and academic article will follow the APA-Citation. If you have any questions or if you would like us to help you with your topic, feel free to contact us via e-mail. Again we would like to thank all authors and translators for their contributions! This project would never be possible without your help and ideas. 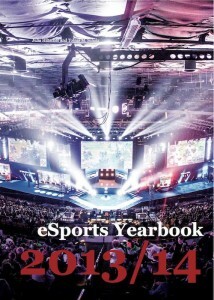 This year issue contains several articles about major eSport topics in 2013 and 2014. André Fagundes Pase and Heelary Schultz wrote about Brazil. Matt Demers wrote a detailed story about commentators. Dominik Härig and Tilo Franke chose topics about marketing and marketisation in eSports. 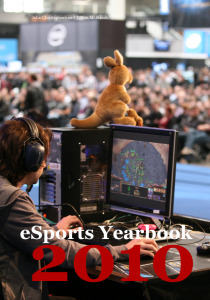 The eSports Yearbook is a collection of articles about eSports. 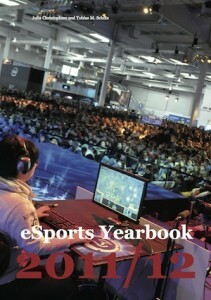 This year’s issue contains articles about many major eSports topics in 2011 and 2012, StarCraft II for example. Manuel Schenkhuizen wrote a Manifesto. Henry Harris wrote a detailed story about Team Fortress 2. Aman Parmar and Ángel Quintina chose topics that focus on India and Spain. Marc-Andre Messier looks at Quake and Terrence Wong gives an insight into South East Asia and the problems of Dota 2 there. This year’s issue contains articles about many major eSports topics in 2010, StarCraft II for example. Jasper Mah and Colin Webster chose topics that focus on Asia and South Africa. And we are proud to present you some beautiful eSports and gaming art in the eSports Yearbook for the very first time, as art is a very important cultural area in eSports media. 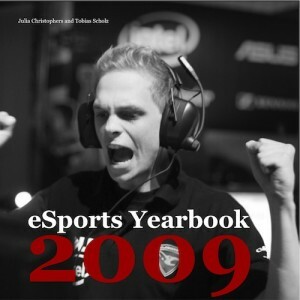 Handpicked artists Daniel Andersson, Kee Ahnström and Emil Erlandsson are starring in this book.The eSports Yearbook is a collection of academic articles and columns about eSports. Finally a book about eSports with stories of players like Manuel Schenkhuizen, Alessandro Avallone, journalists like Frank Fields, Jonas Gebhardt, scientists like Christian Scholz, Emma Witkowski, managers like Dario Salice, David Hiltscher and many more eSports people. Stories about Ireland, Belgium, first tournament experiences, the federations in eSports, stories about the failure of the ESWC, eSports as a scientific field, memories from the CPL in 2004 and many more stories, in addition to many pictures about eSports, which catch the emotions and the feeling of eSports events all around the world.